Imagine waking up to hundreds or even thousands of irrationally emotional customers who threaten to throw out your product and never do business with your brand again. All because a generic version of your product was used as part of a fictional plotline, in a fictional television show, to kill a fictional character. This scenario sounds ridiculous, doesn’t it? And yet, it’s the blindsiding reality that Crock-Pot woke up to earlier this year, when the popular NBC show, This Is Us, did precisely this. 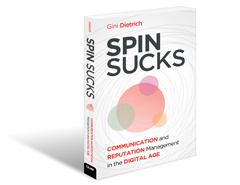 In this hyper-connected world, issues that threaten the reputation and bottom line of your organization can come from seemingly nowhere. Even fictional television shows that don’t directly name your brand! It’s a scary reality, isn’t it? And yet, the This Is Us and Crock-Pot debacle demonstrates just how real this scenario is. So, let’s say your organization is facing a negative viral issue or, worse, a crisis. As a communicator, your role would be to help regain control of the situation as quickly as possible. And hopefully, manage it in a way that wouldn’t allow for a negative impact on the brand’s good name. But with the risk of issues coming out of left field, how can you be assured your team will be able to manage any curveballs thrown your way? The answer is by being crisis ready. What Does it Mean to Be Crisis Ready? Being crisis ready means your team doesn’t just handle a crisis or issue, they conquer it instinctively. Managing it in a way which leads to more trust, credibility, and goodwill with those who matter most to your organization. When your team is in a position to make smart decisions in difficult situations, that leads to increased trust in the brand. At that point, you’re ready for anything the world throws at you, making your brand invincible. So how do you achieve this level of crisis readiness? Fortunately, there are three essential steps you can take to help your team achieve this. In this world, issues can quickly go viral against your organization and stakeholder expectations. And the demands can be overwhelming. So, it’s important your team not only be able to detect a rising risk but also properly assess the potential real-time impact on the brand. 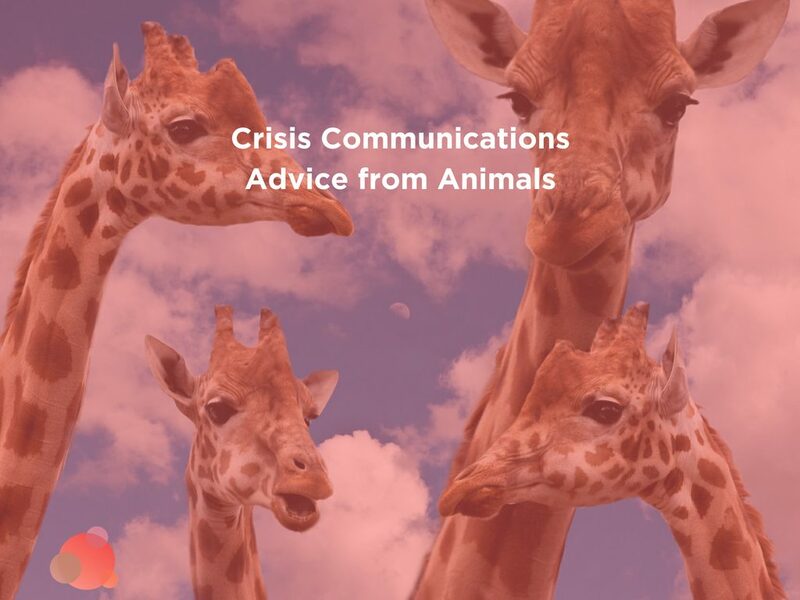 For example, just because an issue goes viral does not make it a crisis. Meanwhile, overreacting or underreacting to a viral issue can escalate it to crisis level. If virality is not the deciding criteria for a crisis, then what is? A negative event or situation that will stop business as usual to some extent, because it requires escalation, guidance, and an executive decision. A negative event or situation that does not stop business as usual or require escalation to leadership. Instead, issue management is a form of a team’s regular business activities in hyperdrive, as it does not threaten long-term material impact on any of the five factors listed above. Did Crock-Pot Face an Issue or a Crisis? Let’s make these definitions real by exploring the incident that Crock-Pot faced. Was this incident an issue or a crisis for the slow-cooker brand? Due to the irrational emotional element of this situation—which amounted to people being scared their Crock-Pot would burn down their home and kill their family—the company found itself in a bad situation. They were at risk of losing long-time customers (impact on people) which could translate into those customers having a lasting negative sentiment towards the brand. And this would surely lead to a potential long-term negative impact on the brand’s reputation. Therefore, the risk attached to this incident was grave enough to make it a potential crisis for the brand. Fortunately, Crock-Pot was able to assess the scope and impact of the situation and respond accordingly. These fears are irrational and unfounded. The situation will die down, let’s just lay low. Because these fears were, in fact, irrational and unfounded, a less crisis ready organization could easily have made the mistake of not properly assessing the potential material impact of the situation. This would have resulted in a missed opportunity to de-escalate the situation quickly and maintain—even strengthen—relationships with long-standing customers. As a result of their quick and accurate assessment, their team was able to respond quickly and appropriately. Having a team that understands the difference between an issue and a crisis for your organization is essential. It ensures an appropriate real-time response that builds stakeholder trust, rather than depreciates from it. 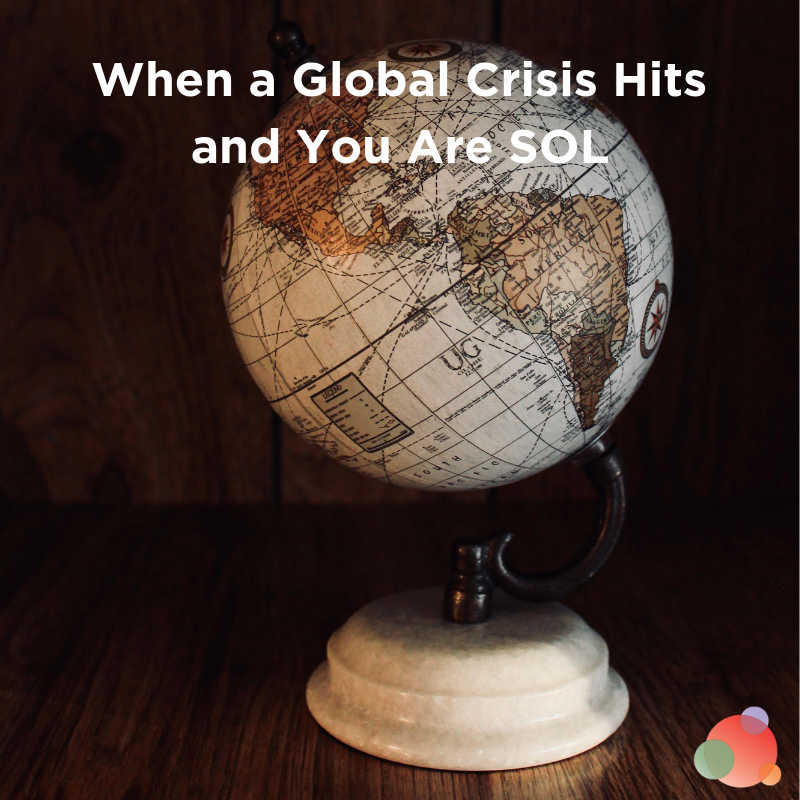 While there’s always the risk of an unforeseeable negative event, the reality is every organization has a list of high-impact crises and issues to which they are most vulnerable. 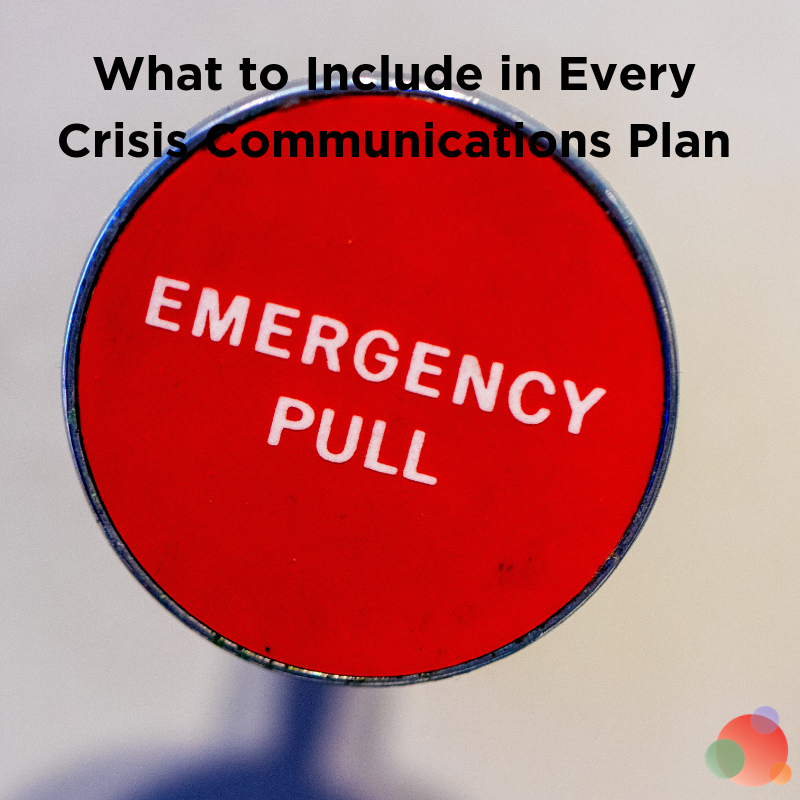 And part of being crisis ready involves identifying the most-likely, high-impact scenarios, putting measures in place to prevent the preventable, and preparing for the unpreventable. So, what high-risk crises and issues are the most likely to strike your organization? To help you get started, the following are some common high-risk crisis scenarios. * An executive or high-profile team member’s death, incapacitation, disappearance, kidnapping, etc. Getting to a place of crisis readiness means having a team that can instinctively detect, assess, and appropriately respond in real-time, in a way that builds stakeholder trust and goodwill. But the reality is, developing this skill set doesn’t happen overnight. It takes time and conscious effort. One way to increase this conscious effort—and mitigate unnecessary issues at the same time—is to incorporate risk assessing as part of your team’s daily internal processes. While this may seem common sense, in my experience, it is not applied often enough as part of an organization’s day-to-day processes. For example, integrating the “what if” game as part of the creative process can offer powerful advantages to your team and your organization overall. What if this messaging was misinterpreted or misconstrued? Ask them what the impact could be and how they’d respond? What if this campaign went negatively viral? Why might this be a possibility and what would be the emotional aspect of the situation? How can we prevent this, and if we’re caught off guard, how would we respond? What if a [enter negative scenario] were to happen? What would our stakeholders expect of us, and how would we meet these expectations? Therefore, making these discussions a regular part of your daily process will go a long way in helping mitigate unnecessary negative incidents. And it will proactively help your team develop a crisis ready mindset. Becoming crisis ready is a process offering many advantages which far exceed the sole acts of crisis and issue management. 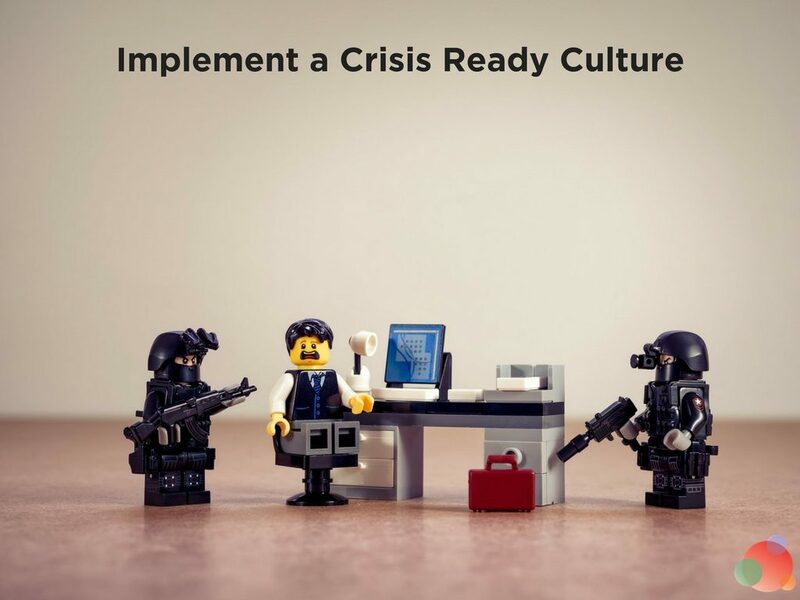 And by taking these three steps, you’ll implement a crisis ready culture and build brand invincibility. That is precisely what I wish happens for you. 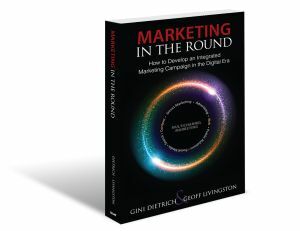 Note from Gini Dietrich: Melissa is too humble to mention this in her article, but she has a new book out called “Crisis Ready: Building an Invincible Brand in an Uncertain World” and you should definitely check it out. I got a sneak peek of it and it’s VERY good. Author of "Crisis Ready: Building an Invincible Brand in an Uncertain World", Melissa Agnes is a leading authority on crisis preparedness, reputation management, and brand protection. Agnes is a coveted speaker, commentator, and advisor to some of today's leading organizations faced with the greatest risks. As a strategic advisor and keynote speaker, Melissa Agnes has worked with NATO, Ministries of Foreign Affairs and Defense, financial firms, technology companies, healthcare organizations, cities and municipalities, law enforcement agencies, global non-profits, and many others, helping them understand risk and build invincible brands that can withstand even the most devastating of events. In 2015, she gave a TEDx talk in Los Angeles where she discussed the secret to successful crisis management in the 21st century. 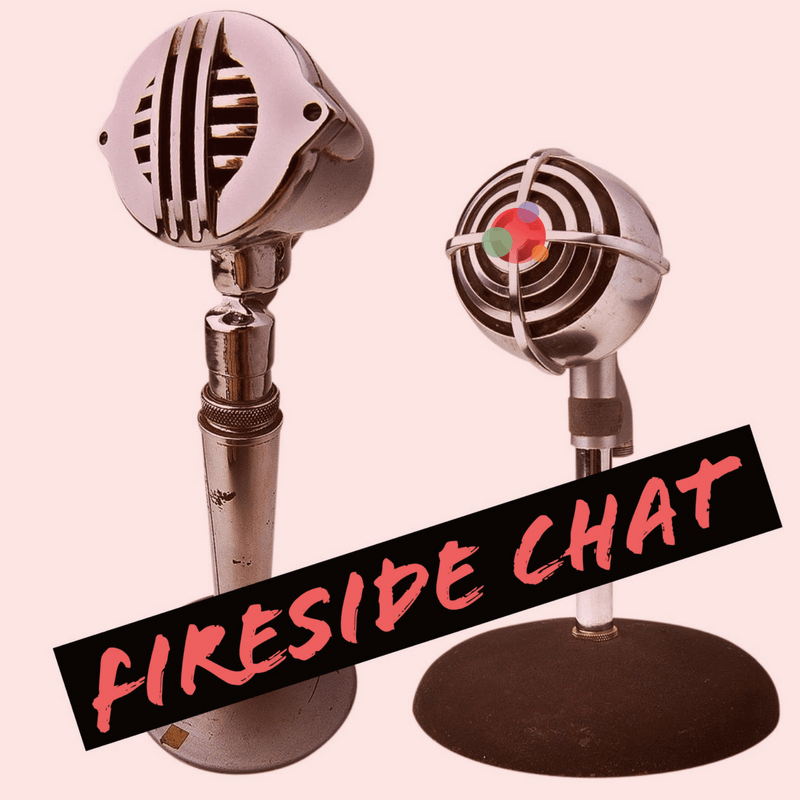 Agnes is the editor of the Crisis Ready Blog, a contributor to Forbes, and a go-to source for the press, with recent coverage including the Wall Street Journal, VIBE Magazine, USA Today, and many others. As a university guest lecturer, Agnes teaches crisis management in university courses around the world, including at NYU and McGill.